The Book of Habakkuk is the eighth book of the 12 minor prophets of the Hebrew Bible. It is attributed to the prophet Habakkuk, and was probably composed in the late 7th century BC. Of the three chapters in the book, the first two are a dialog between Yahweh and the prophet. The central message, that "the just shall live by his faith" (2:4), plays an important role in Christian thought. It is used in the Epistle to the Romans 1:17, Epistle to the Galatians 3:11, and the Epistle to the Hebrews 10:38 as the starting point of the concept of faith. A copy of these chapters is included in the Habakkuk Commentary, found among the Dead Sea Scrolls. Chapter 3 may be an independent addition, now recognized as a liturgical piece, but was possibly written by the same author as chapters 1 and 2. The prophet Habakkuk is generally believed to have written his book in the mid-to-late 7th century BC, not long before the Babylonians' siege and capture of Jerusalem. Habakkuk identifies himself as a prophet in the opening verse. 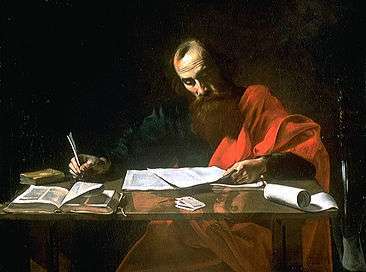 Due to the liturgical nature of the book of Habakkuk, there have been some scholars who think that the author may have been a temple prophet. Temple prophets are described in 1 Chronicles 25:1 as using lyres, harps and cymbals. Some feel that this is echoed in Habakkuk 3:19b, and that Habakkuk may have been a Levite and singer in the Temple. There is no biographical information on the prophet Habakkuk; in fact less is known about him than any other writer of the Bible. The only canonical information that exists comes from the book that is named for him. His name comes either from the Hebrew word חבק (khavak) meaning "embrace" or else from an Akkadian word hambakuku for a kind of plant. Although his name does not appear in any other part of the Jewish Bible, Rabbinic tradition holds Habakkuk to be the Shunammite woman's son, who was restored to life by Elisha in 2 Kings 4:16. The prophet Habakkuk is also mentioned in the narrative of Bel and the Dragon, part of the deuterocanonical additions to Daniel in a late section of that book. In the superscription of the Old Greek version, Habakkuk is called the son of Joshua of the tribe of Levi. In this book Habakkuk is lifted by an angel to Babylon to provide Daniel with some food while he is in the lion's den. The Chaldean Empire around 600 BC. It is unknown when Habakkuk lived and preached, but the reference to the rise and advance of the Chaldeans in 1:6–11 places him in the middle to last quarter of the 7th century BC. One possible period might be during the reign of Jehoiakim, from 609–598 BC. The reasoning for this date is that it is during his reign that the Babylonians were growing in power. The Babylonians marched against Jerusalem in 598 BC. Jehoiakim died while the Babylonians were marching towards Jerusalem and Jehoiakim's eighteen-year-old son Jehoiachin assumed the throne. Upon the Babylonians' arrival, Jehoiachin and his advisors surrendered Jerusalem after a short time. With the transition of rulers and the young age and inexperience of Jehoiachin, they were not able to stand against Chaldean forces. There is a sense of an intimate knowledge of the Babylonian brutality in 1:12–17. The book of Habakkuk is a book of the Tanakh (the Old Testament) and stands eighth in a section known as the 12 Minor Prophets in the Masoretic and Greek texts. In the Masoretic listing, it follows Nahum and precedes Zephaniah, who are considered to be his contemporaries. The major theme of Habakkuk is trying to grow from a faith of perplexity and doubt to the height of absolute trust in God. Habakkuk addresses his concerns over the fact that God will use the Babylonian empire to execute judgment on Judah for their sins. Habakkuk is unique among the prophets in that he openly questions the wisdom of God. In the first part of the first chapter, the Prophet sees the injustice among his people and asks why God does not take action. "1:2 Yahweh, how long will I cry, and you will not hear? I cry out to you “Violence!” and will you not save?" – World English Bible. One of the "Eighteen Emendations to the Hebrew Scriptures" appears at 1:12. (Actually there were more than eighteen.) According to the professional Jewish scribes, the Sopherim, the text of 1:12 was changed from "You [God] do not die" to "We shall not die." The Sopherim considered it disrespectful to say to God, "You do not die." The book of Habakkuk is accepted as canonical by adherents of the Jewish and Christian faiths. A commentary on the first two chapters of the book was found among the Dead Sea Scrolls at Qumran. Passages from Habakkuk are quoted by authors of the New Testament, and its message has inspired modern Christian hymn writers. The Book of Habakkuk is the eighth book of the Twelve Prophets of the Hebrew Bible, and this collection appears in all copies of texts of the Septuagint, the Ancient Greek translation of the Hebrew Bible completed by 132 BC. Likewise, the book of Sirach (or Ecclesiasticus), also written in the 2nd century BC, mentions "The Twelve Prophets". A partial copy of Habakkuk itself is included in the Habakkuk Commentary, a pesher found among the original seven Dead Sea Scrolls discovered in 1947. The Commentary contains a copy of the first two chapters of Habakkuk, but not of the third chapter. The writer of the pesher draws a comparison between the Babylonian invasion of the original text and the Roman threat of the writer's own period. What is even more significant than the commentary in the pesher is the quoted text of Habakkuk itself. The divergences between the Hebrew text of the scroll and the standard Masoretic Text are startlingly minimal. The biggest differences are word order, small grammatical variations, addition or omission of conjunctions, and spelling variations, but these are small enough to not to damage the meaning of the text. 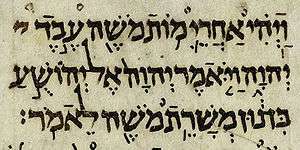 Some scholars suggest that Chapter 3 may be a later independent addition to the book, in part because it is not included among the Dead Sea Scrolls. However, this chapter does appear in all copies of the Septuagint, as well as in texts from as early as the 3rd century BC. This final chapter is a poetic praise of God, and has some similarities with texts found in the Book of Daniel. However, the fact that the third chapter is written in a different style, as a liturgical piece, does not necessarily mean that Habakkuk was not also its author. Its omission from the Dead Sea Scrolls is attributed to the inability of the Qumran sect to fit Habakkuk's theology with their own narrow viewpoint. The second half of this verse [lower-alpha 1] is quoted by some of the earliest Christian writers. Although this passage is only three words in the original Hebrew,[lower-alpha 2] it is quoted three times in the New Testament. Paul the Apostle quotes this verse twice in his epistles: in Epistle to the Romans (Romans 1:17) and again in Epistle to the Galatians (Galatians 3:11). In doing so, Paul extends Habakkuk's original concept of righteous living at the present time into a future life. The same verse is quoted in Epistle to the Hebrews (Hebrews 10:37–38), where Habakkuk's vision is tied to Christ and used to comfort the church during a period of persecution. These three epistles are considered to be "the three great doctrinal books of the New Testament," and Habakkuk's statement concerning faith forms the backbone of each book. Modern Christian hymns have been inspired by the words of the prophet Habakkuk. The Christian hymn "The Lord is in His Holy Temple", written in 1900 by William J. Kirkpatrick, is based on verse 2:20. The fourth verse of William Cowper's hymn "Sometimes a Light Surprises", written in 1779, quotes Habakkuk 3:17–18. ↑ "...but the righteous shall live by his faith." This translation is both that of the ASV and that of the Jewish Publication Society of America. ↑ The Hebrew text is וְצַדִּיק בֶּאֱמוּנָתוֹ יִחְיֶה . See Barber (1985). 1 2 3 4 5 Cross (2005). ↑ Barber (1985), p. 15. ↑ Brownlow (1961), p. 440. 1 2 3 Lehrman (1948), p. 211. ↑ Leslie (1962), p. 503. ↑ Coffman (1982), p. 61. ↑ Hailey (1972), pp. 271–272. 1 2 3 Baker (1988), p. 46. ↑ Hirsch et al. (1906). 1 2 Wise, Abegg & Cook (1996), p. 115. ↑ Harris (1966), pp. 22–30. ↑ Clark & Hatton (1989), p. 65. ↑ Széles (1987), p. 9. ↑ Lehrman (1948), p. 219. 1 2 Barber (1985), p. 38. ↑ McGee (1991), p. 66. ↑ Johnson (1969), p. 85. ↑ Achtemeier (1993), p. 266. ↑ McGee (1991), p. 64. ↑ Wiegland (1992), p. 685. ↑ Whelpton (1916), p. 229; song 279. Achtemeier, Elizabeth (1993). "Habbakuk, The Book of". In Metzger, Bruce M.; Coogan, Michael D. The Oxford Companion to the Bible. New York: Oxford University Press. pp. 265–266. ISBN 0-19-504645-5. Andersen, Francis I. (2001). Habbakuk. The Anchor Bible. New York: Doubleday. ISBN 0-385-08396-3. Bailey, Waylon (1998). "Habakkuk". Micah, Nahum, Habakkuk, Zephaniah. The New American Commentary. 20. Nashville, TN: Broadman & Holman Publishers. ISBN 0-8054-0120-2. Baker, David W. (1988). Nahum, Habakkuk and Zephaniah. Tyndale Old Testament Commentaries. Downers Grove, IL: Inter-Varsity Press. ISBN 0-87784-249-3. Barber, Cyril J. (1985). Habakkuk and Zephaniah. Everyman's Bible Commentary. Chicago: Moody Press. ISBN 0-8024-2069-9. Ben Zvi, Ehud (2004). "Habakkuk". In Berlin, Adele; Brettler, Marc Zvi. The Jewish Study Bible. Oxford: Oxford University Press. pp. 1226–1233. ISBN 978-0-19-529751-5. Betteridge, Walter R. (1903). "The interpretation of the prophecy of Habakkuk". The American Journal of Theology. 7 (4): 647–661. doi:10.1086/478403. Brettler, Marc Zvi (2004). "Nevi'im". In Berlin, Adele; Brettler, Marc Zvi. The Jewish Study Bible. Oxford: Oxford University Press. pp. 451–461. ISBN 978-0-19-529751-5. Brownlow, Leroy (1961). "Habakkuk". The Old Testament Books and their Messages in the Christian Age. Second Annual Fort Worth Christian College Lectureship. Fort Worth: The Manney Company. pp. 439–453. Bruce, F. F. (2009). "Habakkuk". In McComiskey, Thomas Edward. The Minor Prophets: An Exegetical and Expository Commentary. Grand Rapids, MI: Baker Academic. pp. 831–896. ISBN 978-0-8010-3631-6. Chisholm, Robert B., Jr. (1990). "Habakkuk". Interpreting the Minor Prophets. Grand Rapids, MI: Academie Books. pp. 183–199. ISBN 0-310-30801-1. Clark, David J. & Hatton, Howard A. (1989). A Translator’s Handbook on The Books of Nahum, Habakkuk and Zephaniah. New York: United Bible Societies. ISBN 0-8267-0141-8. Coffman, James Burton (1982). Nahum, Habakkuk, Zephaniah, and Haggai. Commentary on the Minor Prophets. 3 (revised ed.). Abilene, TX: ACU Press. pp. 61–116. ISBN 0-915547-46-5. Coggins, Richard; Han, Jin H. (2011). Six Minor Prophets Through the Centuries. Blackwell Bible Commentaries. Wiley-Blackwell. ISBN 978-1-4051-7675-0. Cross, F. L. & Livingston, E. A., eds. (2005). The Oxford Dictionary of the Christian Church (3rd ed.). New York: Oxford University Press. ISBN 0-19-280290-9. Driver, S. R., ed. (1906). The Minor Prophets: Nahum, Habakkuk, Zephaniah, Haggai, Zechariah, Malachi. The Century Bible. Edinburgh: T. C. & E. C. Jack, Ltd.
Gigot, F. (1910). "Habacuc (Habakkuk)". The Catholic Encyclopedia. New York: Robert Appleton Company. New Advent. Retrieved 2010-12-19. Gowan, Donald E. (1976). The Triumph of Faith in Habakkuk. Atlanta: John Knox Press. ISBN 0-8042-0195-1. Haak, Robert D. (1988). ""Poetry" in Habakkuk 1:1–2:4?". Journal of the American Oriental Society. 108 (3): 437–444. doi:10.2307/603864. Hailey, Homer (1972). "Habakkuk". A Commentary on the Minor Prophets. Grand Rapids, MI: Baker Book House. pp. 271–296. ISBN 0-8010-4049-3. Harris, J. G. (1966). The Qumran Commentary on Habakkuk. Contemporary Studies in Theology. London: A. R. Mowbray & Co. pp. 22–30. Henderson, Ebenezer (1980) [First published 1858]. The Twelve Minor Prophets. Thornapple Commentaries. Grand Rapids, MI: Baker Book House. ISBN 0-8010-4217-8. Hirsch, Emil G. (1906). "Habakkuk, Book of". Jewish Encyclopedia. ———————; Blau, Ludwig; Kohler, Kaufmann & Schmidt, Nathaniel (1906). "Bible Canon". Jewish Encyclopedia. Humbert, Paul (1944). Problèmes du Livre d'Habacuc. Mémoires de l'Université de Neuchatel, 18. Neuchatel: Secrétariat de l'Université. ISBN 0-8042-0195-1. Irving, T. Johnstone (1908). "Habakkuk". The Biblical World. 31 (1): 51–61. doi:10.1086/474001. Irwin, William A. (1956). "The mythological background of Habakkuk, chapter 3". Journal of Near Eastern Studies. 15 (1): 47–50. doi:10.1086/371309. Johnson, Robert L. (1969). The Letter of Paul to the Galatians. The Living Word Commentary. Abilene, TX: ACU Press. ISBN 0-915547-29-5. Kachelman, John L., Jr. (2000). Habakkuk: When God Seems So Silent. Freed-Hardeman University Press. Kelly, Fred T. (1902). "The strophic structure of Habakkuk". The American Journal of Semitic Languages and Literatures. 18 (2): 94–119. doi:10.1086/369437. LaSor, William Sanford; Hubbard, David Allan & Bush, Frederic Wm. (1982). Old Testament Survey: The Message, Form, and Background of the Old Testament. Grand Rapids, MI: Wm. B. Eerdmans. ISBN 0-8028-3556-2. Lehrman, S. M., Rabbi (1948). "Habakkuk". In A. Cohen. The Twelve Prophets. London: The Soncino Press. pp. 210–220. Leslie, E. A. (1962). "Habakkuk". In Buttrick, George Arthur; et al. The Interpreter's Dictionary of the Bible: An Illustrated Encyclopedia. 2. Nashville, TN: Abingdon Press. pp. 503–505. ISBN 0-687-19271-4. Lloyd-Jones, D. Martyn (1966) [First published 1953]. From Fear to Faith: Studies in the Book of Habakkuk. Leicester, UK: Inter-Varsity Press. ISBN 0-85110-332-4. McGee, J. Vernon (1991). Nahum and Habakkuk. Thru the Bible Commentary Series. Nashville, TN: Thomas Nelson Publishers. ISBN 0-7852-1033-4. Moore, Carey A. (1977). Daniel, Esther and Jeremiah: The Additions. The Anchor Bible. Garden City, NY: Doubleday & Company. ISBN 0-385-04702-9. Neusner, Jacob (1994). Introduction to Rabbinic Literature. The Anchor Bible Reference Library. New York: Doubleday. ISBN 0-385-47093-2. Patterson, Richard D. (2003). An Exegetical Commentary: Nahum, Habbakuk, Zephaniah. Biblical Studies Press. ISBN 0-7375-0019-0. Pusey, E. B. (1950) [First published 1860]. The Minor Prophets: A Commentary. 2. Grand Rapids, MI: Baker Book House. Robertson, O. Palmer (1990). The Books of Nahum, Habakkuk, and Zephaniah. The New International Commentary on the Old Testament. Grand Rapids, MI: Wm. B. Eerdmans. ISBN 978-0-8028-2532-2. Smith, Ralph L. (1984). "Habakkuk". Micah–Malachi. Word Biblical Commentary. 32. Waco, TX: Words Books. pp. 92–117. ISBN 0-8499-0231-2. Széles, Mária Eszenyei (1987). Wrath and Mercy: A Commentary on the Books of Habakkuk and Zephaniah. International Theological Commentary. trans. George A. F. Knight. Grand Rapids, MI: Wm. B. Eerdmans. ISBN 0-8028-0242-7. Walker, H. H. & Lund, N. W. (1934). "The literary structure of the book of Habakkuk". Journal of Biblical Literature. 53 (4): 355–370. doi:10.2307/3259376. Whelpton, George, ed. (1916). "song 279". The Church Hymnal. New York: The Century Co.
Wiegand, John P., ed. (1992). "song 685". Praise for the Lord. Nashville, TN: Praise Press. ISBN 0-89098-119-1. Wise, Michael; Abegg, Martin, Jr. & Cook, Edward (1996). The Dead Sea Scrolls: A New Translation. San Francisco: HarperSanFrancisco. pp. 114–122. ISBN 0-06-069200-6. Look up Habakkuk in Wiktionary, the free dictionary. The Commentary on Habakkuk Scroll, The Digital Dead Sea Scrolls, hosted by the Israel Museum, Jerusalem.